Welcome to the Blog of the Tel Burna Excavation Project. here you will be able to find information on the site, the budding archaeological project, the directors and communicate with us. 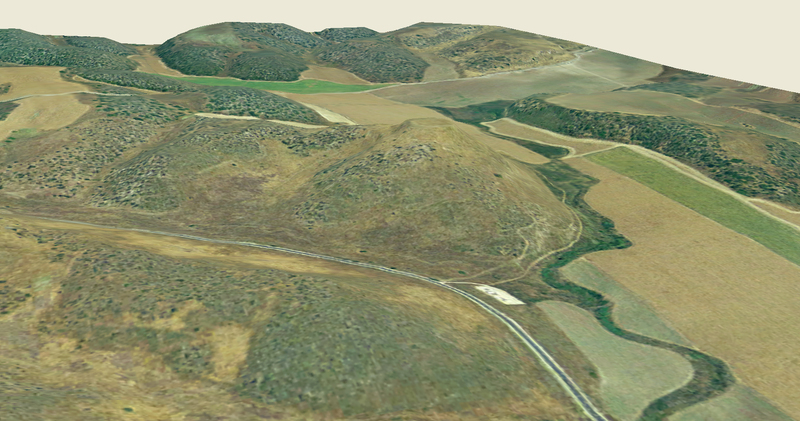 for Starters, here is a nice view of the site, as reconstructed using GIS technology (thanks to Gal Avraham). you will note that this is the picture that appears at the top of the page as well. you can see the riverbed (Nahal Guvrin) running just south of the tell, and the prominent, fortified, summit. Good luck on your new project. I was once asked to codirect an excavation there, with Sei Jin Koh, but things fell through. Site with great potential. Is not the name of the site usually written with a ‘t’ at the end? Why did you choose the spelling Burna? We didn’t know you were involved in that project. as for the spelling, both are used, with Burnat being the arabic name, and burna the Hebrew. but watch for a future post on the site’s name! Good luck Itzick and Joe on on this new exciting journey. great site and great team of directory! i can imagine all the important finds you will have ! Mazal Tov Itzick and Joe! Much success with the project, which I’m sure will be both interesting and important! Great idea, the Tel Burna website! Looking forward to the archaeobotanical remains!